Chronic fatigue syndrome is defined as a disorder indicated by extreme fatigue. According to RightDiagnosis.com, about 500,000 Americans experience this condition. In most cases, the extreme fatigue is associated with some underlying medical problem. The cause of this syndrome is unknown and experts believe that a combination of factors could be to blame. Factors that contribute to chronic fatigue syndrome include problems linked with the immune system, viral infections, and hormonal imbalances. Treatment of this syndrome focuses on symptom relief and exercise is assumed to be beneficial. The primary purpose of this post is to inspect whether exercise can, indeed, relieve symptoms linked with chronic fatigue syndrome. Is it more effective than passive treatments such as relaxation? Is it more effective than other active therapies like adaptive pacing or cognitive behavioral therapy? Is it more effective alone or when combined with other treatments? Is it safer than other treatments recommended for chronic fatigue syndrome? To answer questions listed above, we turned to scientific researches as the only accurate and most reliable source of information regarding CFS. Larun L. and team of scientists of the Norwegian Knowledge Center for the Health Services from Oslo, Norway conducted a thorough review of studies to inspect the benefits of exercise therapy for chronic fatigue syndrome. Study was published in the Cochrane Database of Systematic Reviews and scientists searched and analyzed previous studies where patients with CFS were inspected. Criteria for the included studies were quite simple; every study had to include exercise therapy and other, passive control therapies such as psychological therapy, adaptive pacing therapy as well as pharmacological therapy. The scientists included 8 randomized controlled studies and have reported data from 1518 participants. Seven studies which were included in the review used variations of aerobic exercise therapy like swimming, walking, dancing or cycling while one study used anaerobic exercise. On the other hand, control groups consisted of passive control therapies. Information about pharmaceuticals and their efficacy was insufficient to draw conclusions. 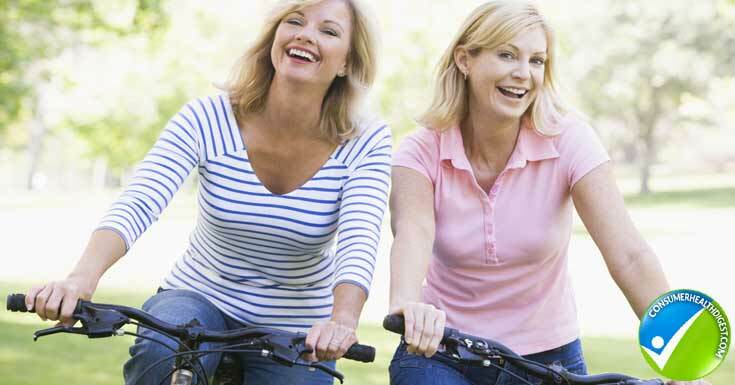 One best alternative to the therapies is making use of joint pain supplements. The user must carry out a deep research on the ingredient whether they are effective or not. All product’s working depends on its ingredients. One of the joint pain medicine with effective ingredients is Projoint Plus. Projoint Plus ingredients are potent and of high quality proven to show its effectiveness. Team of researchers behind the detailed review concluded their work explaining that patients who suffer from chronic fatigue syndrome may benefit and feel less fatigued following exercise therapy. Importantly, there was no evidence which suggests that exercise therapy could worsen one’s condition. How to Overcome Chronic Fatigue Syndrome? Exercise therapy is one of the effective ways of combating chronic fatigue syndrome. This is because it helps a person to relax and get relief from stress which causes fatigue. Also exercising enables the person to raise the heart rate and cause dilation of the blood vessels and promote the health of the blood vessels. After the exercise sessions, it is possible to have quality sleep hence reducing the chronic fatigue syndrome. Chronic fatigue syndrome is a serious condition which occurs due to complex and not entirely understood the cause(s). Experts believe that a combination of different factors contributes to the development of CFS. Luckily, this syndrome can be relieved effectively. Variety of therapies and treatments are available, out of which exercise therapy was dubbed to be among the most effective. The primary purpose of this article was to inspect whether exercise therapy really is an effective way of relieving this syndrome and for that the thorough review of the same subject was included. 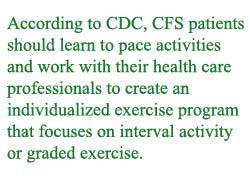 Review of different performed studies confirmed that exercise therapy is among the most effective and safe ways of treating symptoms associated with CFS. This emphasizes the importance of new studies to be conducted that can address the question which exercise interventions (type, duration, and intensity) could be the most beneficial. 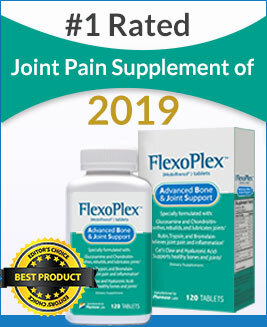 One of the most popular ways to eliminate chronic pain completely is using a joint pain supplement. Take a quick scan of Omega XL Review which can help improve your joint health by protecting it from various joint damages.